A pair of Art Deco pedestals. 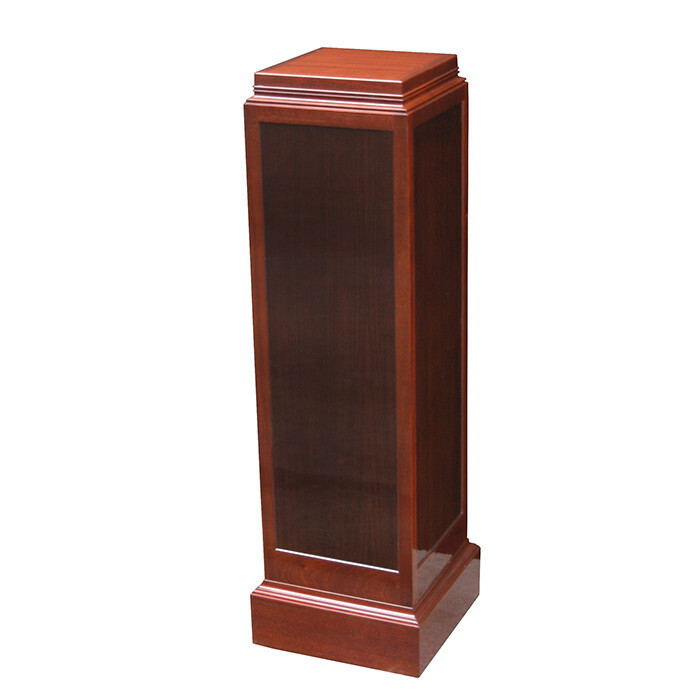 Mahogany and rosewood with carved profile details. Dimensions: H:47½ Top: 11¾ x 11¾ Base: 15 x 15 Inches.